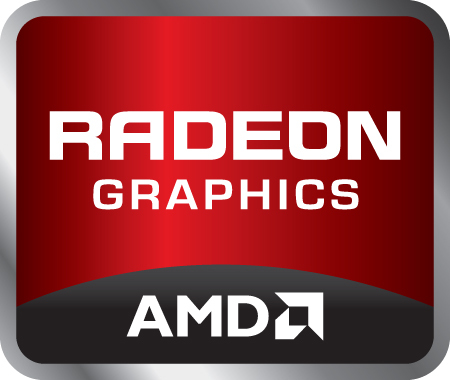 The AMD Radeon R7 M260X is a (lower) mid-range DirectX 12 graphics card for laptops. Just like the older Radeon HD 8700M and 8600M series, it is based on the Mars chip (28nm GCN architecture) with 384 shader cores, 24 TMUs and 8 ROPs. The core is clocked at up to 715 MHz and can access up to 4 GB of GDDR5 memory (4000 MHz effective, 128 bit). Thanks to its relatively high memory bandwidth, the performance of the Radeon R7 M260X is similar to the Nvidia GeForce 830M. Current and demanding games of 2013/2014 will run fluently only low or medium resolutions and detail settings. In older games, however, higher quality settings will be possible. The 384 shaders can be used with OpenCL 1.2 for general-purpose calculations (as 6 compute units). Compared to old TeraScale 2 chips, the GCN-based Mars architecture offers improved performance in this framework. Features of the R7 M260X include video decoding for MPEG-4 AVC/H.264, VC-1, MPEG-2, and Flash directly by the AMD GPU. Multi-View Codec (MVC) and MPEG-4 part 2 (DivX, xVid) HD videos are compatible as well. The R7 series also supports automatic graphics switching between the integrated GPU and discrete GPU. Called Enduro, the technology supersedes AMD's Dynamic Switchable Graphics and is similar to Nvidia's Optimus. Furthermore, the M265 can directly support multiple monitors using Eyefinity Technology if Enduro is disabled. Other features include ZeroCore for reducing power consumption when the display is turned off and Power Gating to power down areas of the chip that are not used. PowerTune allows automatic overclocking and underclocking of the graphics card as long as the GPU is within its TDP limit. For example, the chip may be underclocked when running FurMark and OCCT, but will overclock in certain games like Lost Planet, Crysis or Resident Evil 5. The integrated HD audio processor is able to transmit HD Audio (TrueHD or DTS Master Audio) over HDMI and DisplayPort (e.g., for Blu-Ray videos). Additionally, it allows audio output simultaneously and in parallel to multiple devices with the new Discrete Digital Multipoint Audio (DDMA) feature. The power consumption should be similar to the old Radeon HD 8670M and slightly above the Maxwell-based Nvidia GeForce 830M. As a result, the R7 M260X is best suited for 13-inch notebooks or larger.